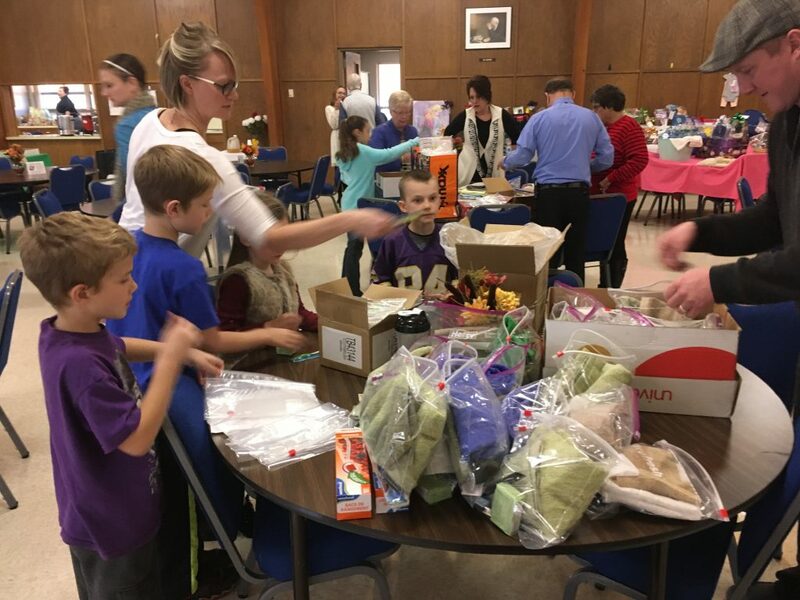 Sunday after worship, we met in the Fellowship Hall to make three kinds of kits to be distributed by the United Methodist Committee on Relief (UMCOR). We filled school bags with school supplies, and assembled health kits and birthing kits. We also filled shoeboxes with gifts for children and wrapped them. 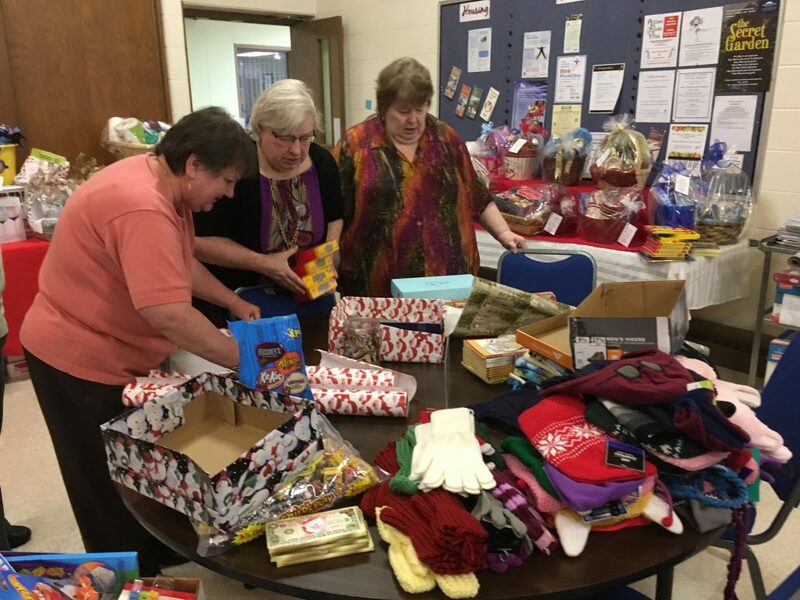 They will be sent to the Spirit Lake Ministry Center, which serves reservations in the Dakotas and Red Lake in Minnesota. Our last project was making greeting cards for the Mobile Meals Program that operates out of our building. Thanks to all the wonderful helpers!